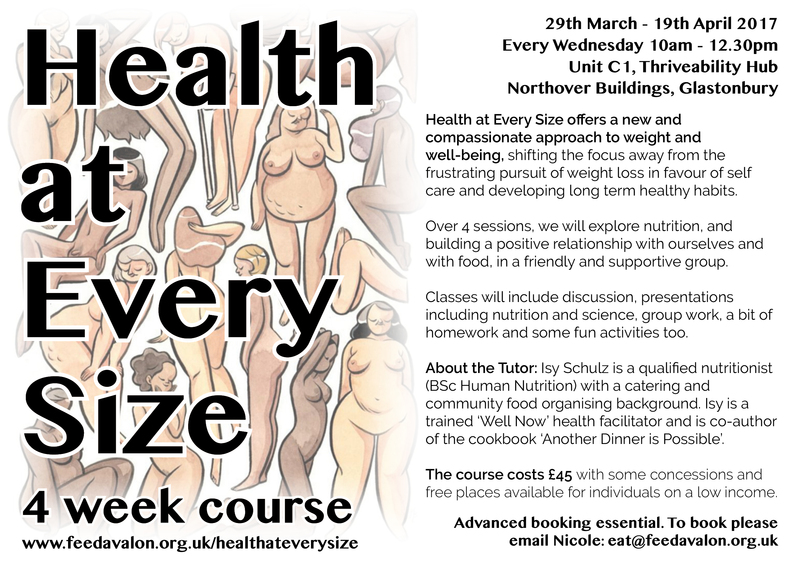 What: Health at Every Size offers a new and compassionate approach to weight and well-being, shifting the focus away from the frustrating pursuit of weight loss in favour of self-care and developing long-term healthy habits. Over 4 sessions, we will explore nutrition, and building a positive relationship with ourselves and with food, in a friendly and supportive group. Classes will include discussion, presentations including nutrition and science, group work, a bit of homework and some fun activities too. About the Tutor: Isy Schulz is a qualified nutritionist (BSc Human Nutrition) with a catering and community food organising background. Trained as a ‘Well Now’ health facilitator and co-author of the cookbook ‘Another Dinner is Possible’. Isy’s interests lie with sustainable food production, inventive plant-based whole food cookery, and improving our current food system. Cost: The course costs £45, with some concessions available.